My next summer recommended book is Pants on Fire by Meg Cabot. 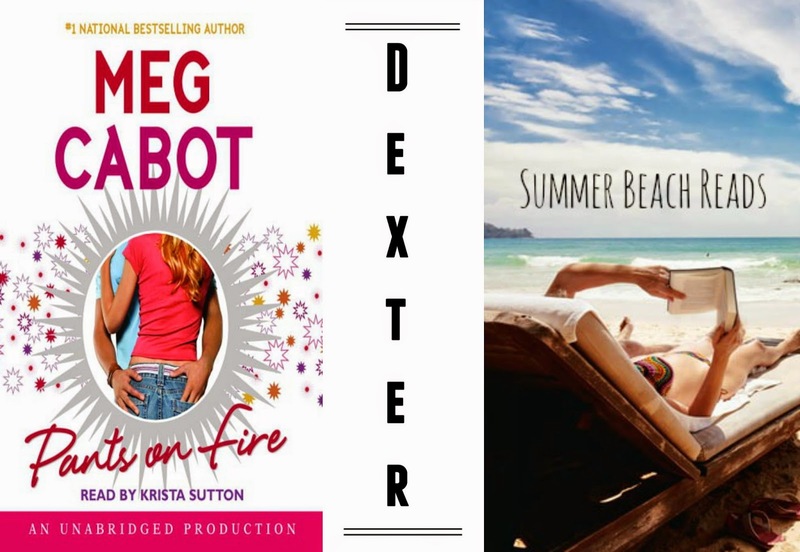 I know you guys had to be expecting at least one Meg Cabot book. She is, afterall, my queen. As you can guess, the book is about a girl named Katie who lies: lies about having multiple boyfriends, lies about having school spirit, lies about liking the town's signature food, and lies, most of all, about Tommy Sullivan, the most hated guy in town. Now let me just tell you right now, Tommy is a babe, so if you are only in it for some man-candy, look no further. As you read this book, you go along Katie's guilt-infested summer as she tries to stop lying to everyone and even though half the time you're going to be like, 'What the heck Katie? JUST TELL THE TRUTH! ', it's still a really enjoyable read. I highly recommend it.